River Art Gallery and Gifts at 83 Webster St. in North Tonawanda will host “Just Buffaloes,” starting Saturday and running through Feb. 16. 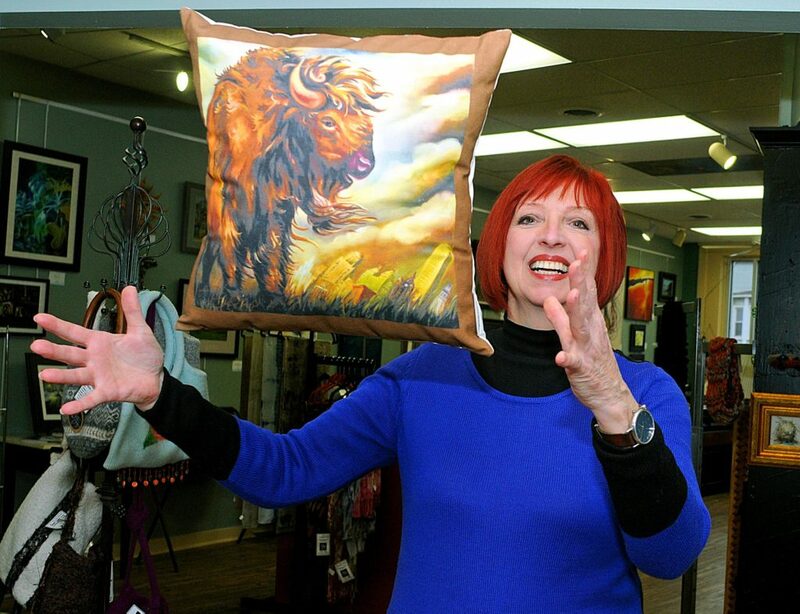 The exhibition of 12local artists’ take on the American bison will feature paintings, sculptures, glass mosaics and more for viewing and for sale. An opening reception is planned for 4-7 p.m. Saturday, Jan., 26th. Here’s our photo of gallery manager Melinda Schneider preparing last week for the show.